Here at The Cake Cottage we know that planning the perfect wedding can be a bit stressful at times. However, designing your perfect wedding cake should be fun and easy. My name is Susan Carberry and my focus is helping couples get the right confectionery center piece for their special day. 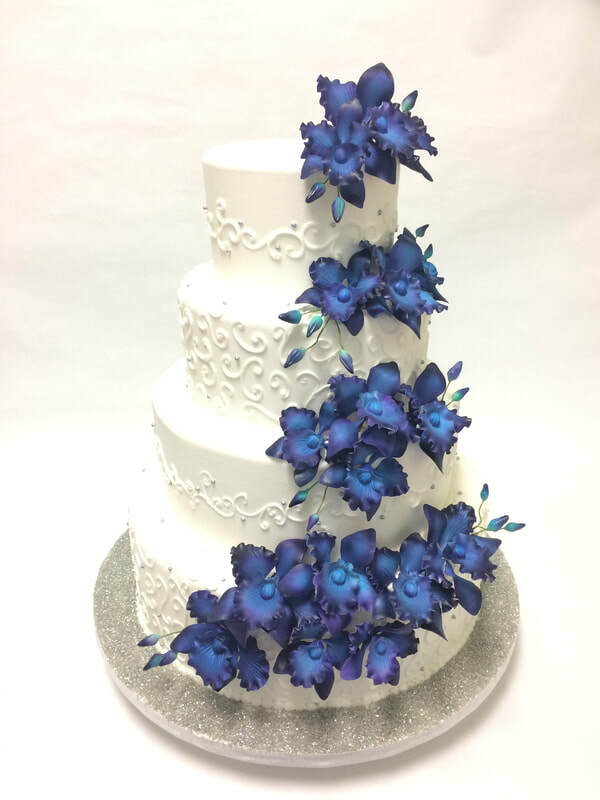 One that will draw rave reviews for it's stunning design as well as it's amazing taste.We can create everything from traditional wedding cakes to rustic wedding cakes to wedding cakes that are completely different and customized just for you. To schedule a one on one wedding cake tasting appointment just fill in the form below. We are located just minutes from all the Temecula Wineries.